The Canadian Real Estate association, CREA, released their latest figures for the month of April. Home buying activity across the nation continued to slump for the month of April, registering a 13.9% decline year over year. The slump in sales marked a six year low for April, with home sales sinking 6.9% below the ten year average. CREA noted about 60% of all local housing markets reported fewer sales, led by the Fraser Valley, Calgary, Ottawa and Montreal. Snubbing the media darling city of Vancouver which already reported a 20% decline in home sales. 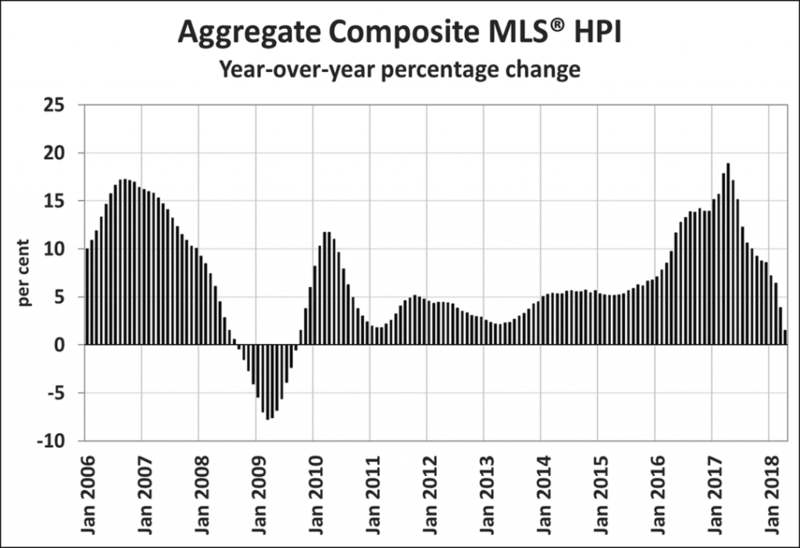 Prices have begun to follow sales, with the average sales price declining 11.3% year over year and the The Aggregate Composite MLS® Home Price Index (MLS® HPI) registering a 1.5% increase in April 2018. This marks one full year of decelerating year over year gains and the smallest year over year increase since October 2009. 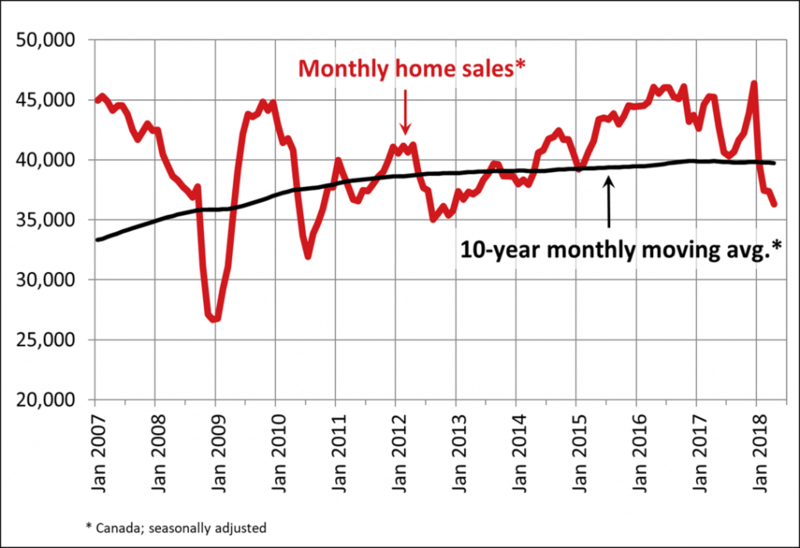 The resulting plunge in home sales and prices seems to be exacerbated by the ensuing mortgage stress test which has extinguished 20% of purchasing power already and isn’t stopping there. Following recent mortgage rate increases, the Bank of Canada hiked the mortgages stress test qualifying rate last week to 5.34%, a twenty basis point increase. With the Canada five year bond ripping to a new high today, closing at 2.308, it’s highest finish since June 2011, mortgage credit will continue to evaporate. I always find it rather ironic when people complain about government meddling in the housing market. Nobody seemed to complain when the government intervened to provide billions of dollars in liquidity to support home prices in 2008, $114B to be exact.